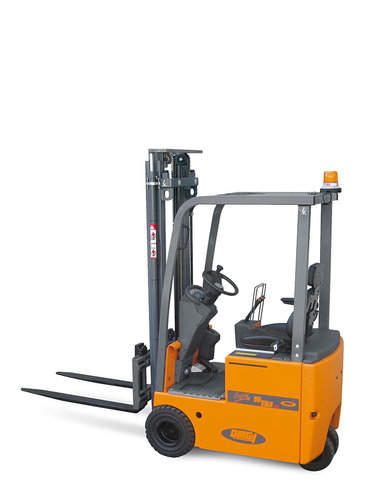 The new Ergos III 8-10 TA3 AC, which have compact dimensions, high performance and excellent manoeuvrability. Ideal for working in very tight spaces, the turning circle is less than 1.200 mm, and a standard feature is the exclusive tilting system called T.O.S. (Tilting OMG System). This system offers a considerable increase in residual capacities as the centre of gravity of the truck is not affected by the mast tilt (usually a limiting factor for this category of product). The battery compartment is accessible by opening the side panel of the truck. A standard feature is the lateral battery removal system on rollers, facilitating replacement for heavy duty use over several work shifts.